OUR PAYMENT PLAN IS TEMPORARILY CLOSED DUE TO THE HIGH DEMAND! OB recognise that buying a bulldog can be a very expensive and saving for one can be difficult for most. We can work together on a payment plan where you can pay monthly with no interest charged on top. 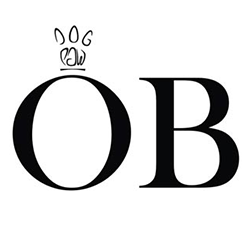 A simple savings account with OB. Step 1 – fill out the OB payment plan form and OB waiting list form. Step 2 – We contact you to discuss options and the contract. Step 3 – Send contract for you to sign and return to us. Step 4 – Payment is set up at any amount you wish to pay per month. Step 5 – When payment is complete we notify you are on the list for the next available litter with your preference. You choose an amount which you can commit too and pay monthly. For example.. You can afford to pay £50 a month towards a puppy. You would get a quote from us for the price of the pup you want. In this example the price is £1500. We would then set you up on a plan to pay £50 a month so it total would take 30 months to complete your payment plan. With no additional charges. At any point if you wish to make a larger payment one month… say £300 you can do so to cut your time period down. It is important that we ensure our bulldogs go to happy, loving homes. It is very important that you understand payments are NOT refundable, this service is for serious and committed buyers only. Plus the OB Puppy pack including toys and treats etc.